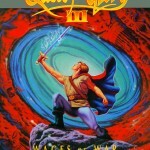 Quest for Glory: Worthwhile after 25 years? 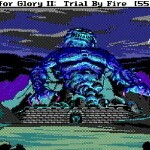 As enthusiasts of retro gaming, we mark significant moments frequently; birthdays of famous creators, anniversaries of release dates, and somber notes of once-strong titans closing down. In 2014 alone we saw countless milestones, such as the 20th anniversary of such titles as Sonic the Hedgehog 3, Mother 2/Earthbound, Final Fantasy VI, and System Shock, saw Irrational Games close its doors, mourned the tragic loss of gaming pioneer Ralph Baer, watched Ubisoft and Naughty Dog celebrate 30 years of existence, and watched Activision revive the classic brand Sierra Entertainment. On that note, now’s a perfect time then to look back at a series that celebrated its 25th anniversary in October – not necessarily the kind of series you see making nostalgic headlines every month, but one that should still not be overlooked. 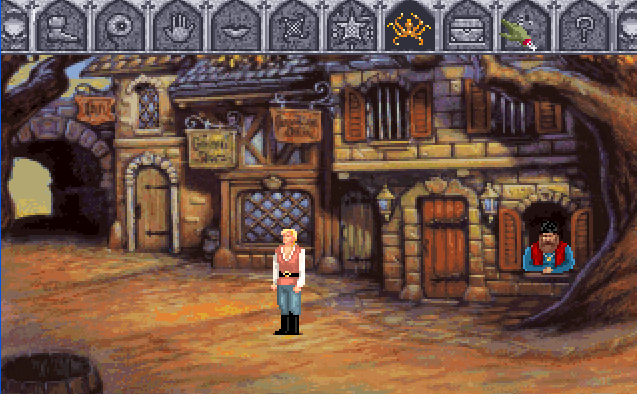 Let’s talk about Quest for Glory. 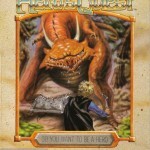 Quest for Glory, or Hero’s Quest as it was initially known prior to fear of lawsuit from a now-defunct board game, is a series of games that blended RPG-style stat levelling with the conventions of a point-and-click adventure game. It presented well thought out, creative worlds, a quirky sense of humour, diverse themes, and unique gameplay. 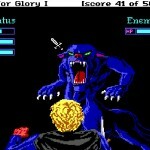 That said, finding a late 80s or early 90s game that’s ‘unique’ isn’t really challenging at all – so why should we care about Quest for Glory, and why might you want to try and play these games for the first time? 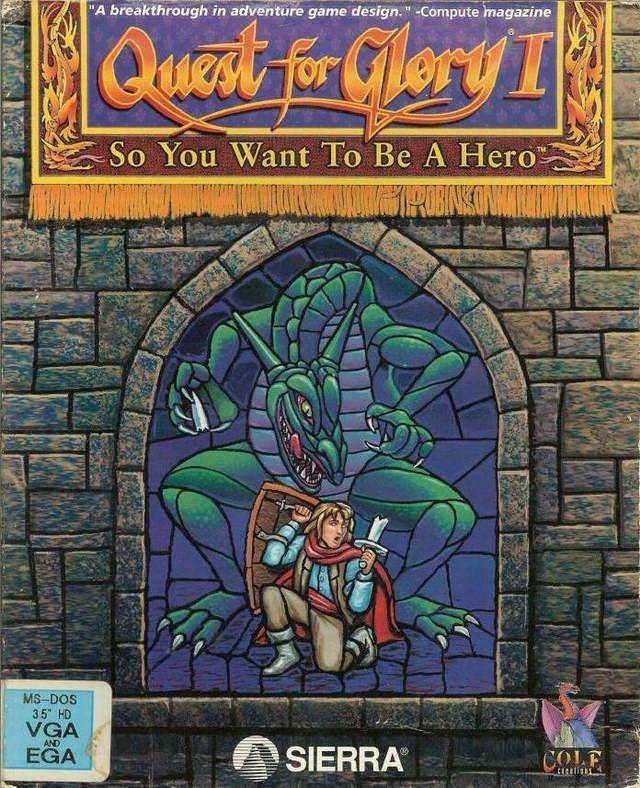 If you want to boil down the appeal and staying power of any classic series, it’s likely going to come down to either gameplay or story, and Quest for Glory delivers here fairly well with a few caveats. The Quest for Glory world, or “Glorianna” features unique areas obviously homaging real ones (such as the African-themed Tarna and the land of Shapier which appears to come more or less entirely out of Arabian Nights lore) filled with creatures that while not necessarily innovative are certainly unique, such as the Liontaurs (half-lion, half man, all honour) and the Katta (anthropomorphic cats before anime made them trendy). Where some may draw issue is the use of referential humour and anachronism at the expense of convincing world-building; however I find they add more charm and comedy than anything else, and having grown up with these games, I can look to their sillier side as a foundation in what I find entertaining… even if I didn’t realize that I was buying a rideable dinosaur from Groucho Marx at the time. Less forgivable is that in a series of five games four of which involve prophecies that you just happen to be in the right place at the right time to resolve (though in the final case you can at least say ‘screw destiny’ and win in a manner not foretold), but it never feels too much like a plot crutch and considering how heavily the games lean on the fourth wall it becomes fairly simple to overlook. 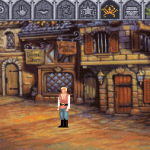 There’s no nice way to say this, but point-and-click adventure games will always feel dated just on the sheer fact that that style of game was already disappearing at the end of the 90s; though Quest for Glory does what it can to be more interesting and engaging than its contemporaries at the time and certainly makes it more fun to pick back up. 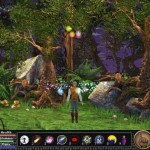 While some exist, there are very few “moon logic” puzzles, and because the game features three unique classes without modifying the world the game takes place in, puzzles all have multiple creative solutions that do a good job of rewarding cleverness as opposed to simply guessing which inventory item the developers wanted you to rub on different parts of the screen. 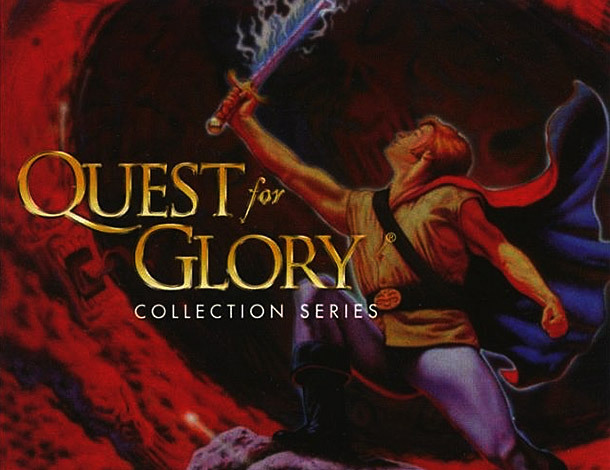 What really makes Quest for Glory shine though is its role-playing elements, where each character has a diverse skillset (from things as simple as strength and intelligence to the more focused lockpicking, parrying, and stealth) which are developed through performing actions rather than simply beating things up until you gain a level. 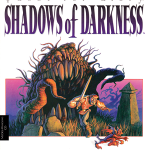 That said, unlike much of the point-and-click genre, the games provide plenty of opportunity to beat things up, with all five having dedicated combat systems in which to deal with random monsters traversing the world, and a character class literally called the Fighter. 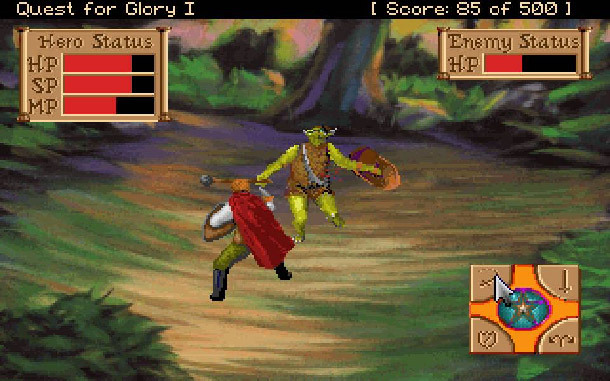 Combat is not perfect, though all five games manage a reasonable system – the first game requires a somewhat punishing level of stat grinding to be effective, but the remaining four titles all offer a decent combat system that won’t punish you too harshly for not knowing how strong you needed to be before blundering into a pack of Jackalmen. 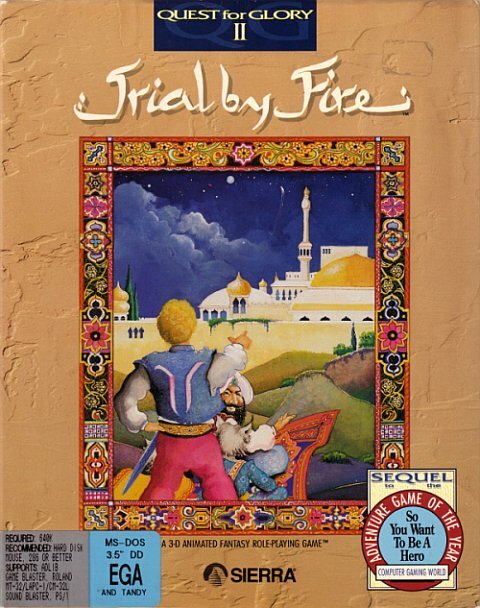 It’s honestly impressive looking back how seamlessly integrated the entire experience is – it’s closest contemporary in terms of character growth may be a title like the Japanese Final Fantasy 2, though QFG certainly doesn’t feature the self-inflicted wounds of that game, it does still reward repetitive action like picking up dozens of rocks and throwing them in random directions to grind the Throwing stat. Statistics and puzzle solving are not all there is to the Quest for Glory gameplay experience however. A product of having a diverse world full of colourful characters requires attention to detail, paying attention to the conversations you have with the people of the land you’ve landed in is crucial to discover what you need to do next, who you need to save, and what might need to be done to reach these goals. You won’t find any convenient arrow pointing you where you need to go next, and your own cleverness and attention to detail are required to progress the plot. This can be both refreshing and frustrating to newcomers as it is not a game where you can simply power from objective to objective, but helps marry gameplay to the world in a way that keeps these titles and what’s in them in your mind long after you’ve finished the series. 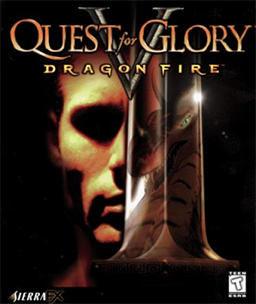 There are five titles in the Quest for Glory series: So You Want to Be a Hero, Trial by Fire, Wages of War, Shadows of Darkness, and Dragon Fire. Thematically they were initially meant to correspond with the four seasons (with Wages of War not having one, being a late addition to the series after it was decided the jump from Trial by Fire to Shadows of Darkness was too big a thematic leap), but all are solid standalone experiences. Playing them in series however offers a feature still rare in gaming, the ability to transfer your character from game to game, bringing with him all his experience, grinded stats, and in some cases items and money from the past game exceeding the ‘minimum starting setup’ that a new character would be given each title. 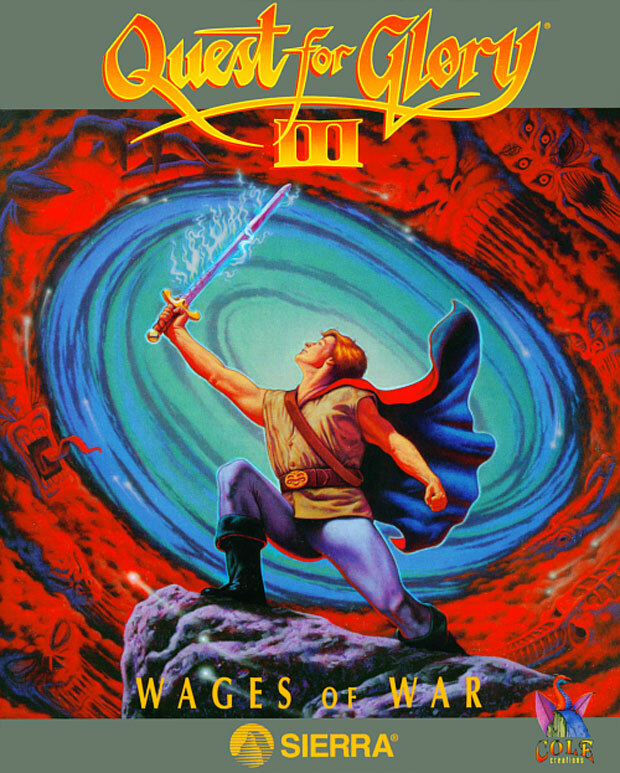 Quest for Glory 1 and 2 both initially launched with a text parser to interact with the world around you however the first game was remade as a full mouse-driven VGA title in 1992, while Quest for Glory 2 had a VGA fan remake released in 2008 by AGD interactive, adding a more complex combat system and adding a few features and references. This gives the first four games a fairly uniform feel making moving from one to the next not feel jarring at all, while the fifth game makes a leap to the world of 3D and becomes more RPG than adventure. 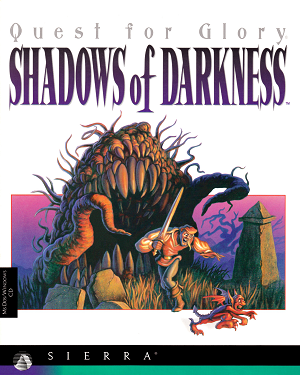 All five titles are great, however I would say that the fourth game features the most engaging story and characters (not to mention John Rhys-Davis providing narration and the debut of prolific voice actress Jennifer Hale), while both versions of the second game feature the most fun gameplay and combat systems. Ultimately, 25 years later, it’s easy to look back and say that this series did so much well it deserves recognition, and deserves to be played. While flaws exist, it’s amazing to see how tightly integrated gameplay and story are, and how the role playing and adventuring elements are so tightly integrated to each other, rewarding cleverness and creativity while rarely forcing you to play ‘guess what the developer was thinking’. Playing these titles again, even after so much time, still can feel refreshing and still prompts the opportunity to discover new details you may have missed. 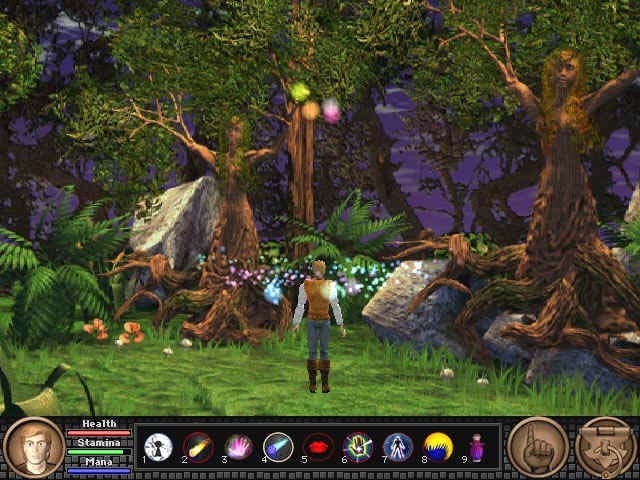 Luckily, the series is finally available again in places like GOG.com, and the original developers, Lori Ann and Corey Cole are working on a kickstarter-funded spiritual successor in Hero-U: Rogue to Redemption. It is absolutely a series worth remembering, worth discussing, and worth playing. 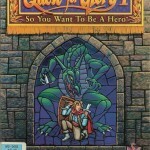 Questing for Glory since the old DOS days, has had more than a dozen Final Fantasies. Loves revisiting old classics because abandoning them would be No Good. Knows to always bet on the Duke, even if he'd rather be a Doom'd space marine. Commands and conquers while honing his Starcraft. Super Mario 64 on the PC? Thank the developer Erik Roystan Ross who made the first level in Unity 3D! CollectorVision now an official Nintendo developer! 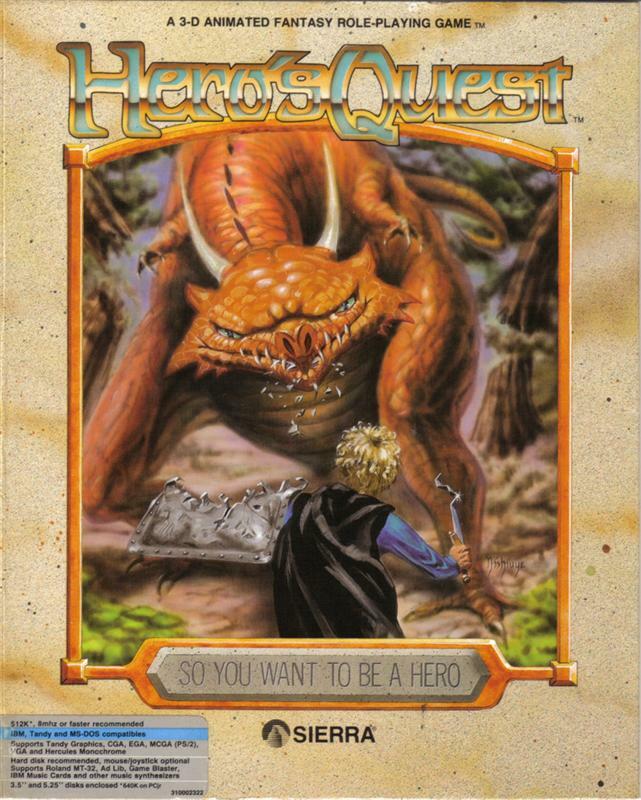 I have played one of the QFG titles before however I forgot which one it was. The game play was pretty fun and the mechanics of the stat grinding were indeed pretty grueling but it was not too hard. 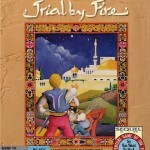 This game also reminds me of the days I spent playing Gauntlet on the original NES. 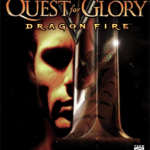 Even though Gauntlet did not require you to build player stats, the creatures and some of the worlds reminded me of my time playing the QFG title. I would recommend this series of games to anyone based on the fact they are a classic and much fun can be had whilst playing.